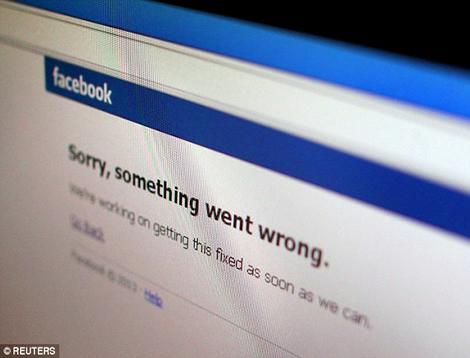 Facebook and Instagram were down worldwide for around an hour today after an alleged cyber hack. 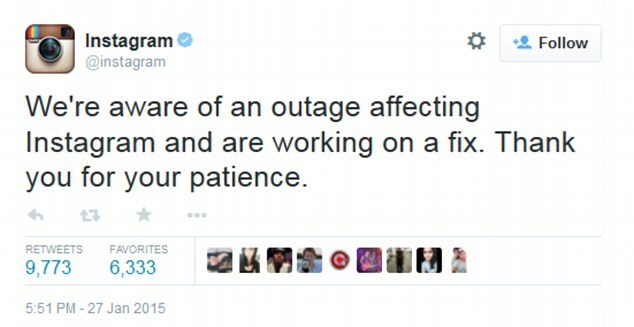 The online group Lizard Squad have claimed responsibility for the hack, which took down the two social media sites at around 6am GMT. Both sites, which have a total of 1.5billion users, appeared with error messages in the United States, Europe and Asia for around an hour. Despite hackers claiming they took the social media giants offline, Mark Zuckerberg’s Facebook, which also owns Instagram, refused to say what the fault was. There were claims online that the super-snowstorm that is over America’s east coast may have knocked out its servers, however that would appear unlikely as their main offices are based in sunny California. The social media blackout also affected the dating mobile app Tinder, as well as AOL Instant Messenger and Hipchat.